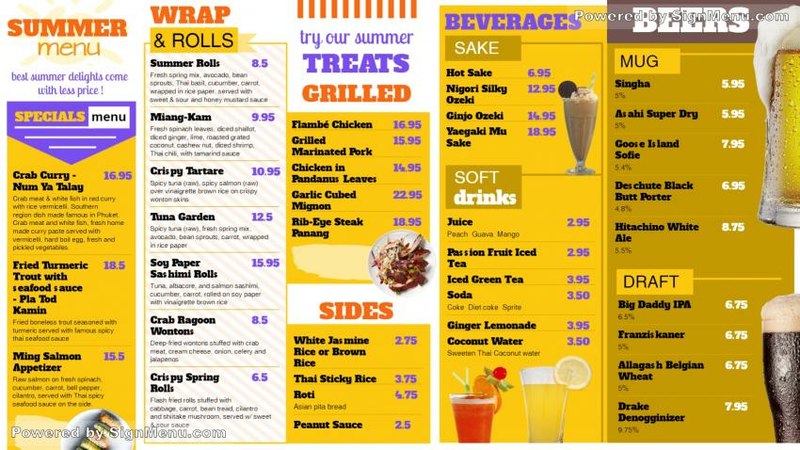 This summer menu board has a chic and trendy design. The yellow color background is well portrayed in two shades and the white rectangular design is well complimented as well. The menu too is delicious with specials, wraps and rolls, grilled, sides, beverages and beer. On a digital screen this template will declare ‘this summer chill with us ! ‘ a great one this.